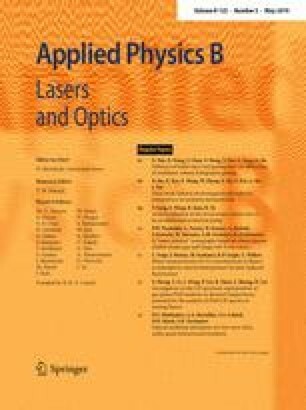 The article describes the development and application of a laser-optical technique for the quantitative measurement of carbon monoxide (CO) in combustion environments of elevated pressures relevant of gas turbine environments. Planar CO measurements can provide important information for the understanding of several aspects of the combustion process, such as localized lean blowout conditions or quenching effects of effusion cooling on the combustor flow. While laser-induced fluorescence is a sensitive non-intrusive measuring technique suitable for planar detection, the CO molecule cannot be excited directly in the visible or near UV. For the present implementation, a two-photon excitation scheme with resulting fluorescence in the visible range is utilized. To qualify the technique, planar measurements in a laminar premixed atmospheric flame are performed in a first step; this flame is later on used for calibration of CO concentrations in a laminar premixed flame at elevated pressure up to 5 bar and in a generic turbulent combustor with a swirl-stabilized flame operated at atmospheric pressure. Pressure effects on spectral structures and the calibration procedure are discussed, as well as potential interference by cross-sensitivity with other species. Based on this optimization strategies are defined for the respective experimental arrangements. We would like to thank Martin Müller for his help to set up the experiments. Dr Eggert Magens is acknowledged for stimulating discussions and valuable suggestions. We would like to thank gratefully Dr. Ulrich Meier for his comments on the manuscript. This work has been funded by the DLR Directorate of Aeronautics through the project LOCCA (Low NOx Oxide Ceramic Combustor for Aero-Engines).